I'm not sure about devils, but the lighting on the sidewalk is definitely going to make this one creepy tonight. Not to mention their super cool pumpkins. We walk by this house on the way to school every day. As soon as the cemetary goes in, our trip takes about five minutes longer. ﻿If you look carefully you can see some scary bones decomposing in front of a couple of tombstones. This house gets wilder every year. Child #1 loves it when people jump out of the bushes. Child #2 is convinced this will be the year he goes up to the door by himself. Of course, no one's Halloween decor is complete without a blood-filled bathtub. Across the street, lives the mythical man-eating spider. I think it's got a little snack all wrapped for Halloween night. Speaking of mythical creatures, we saw the mythical white squirrel, long rumored to live in our neighborhood. Now we have photographic evidence that it really exists. May your Halloween be filled with all your favorite mythical creatures and your treat bags full. What a fun neighborhood! Happy Halloween and hope the kids have a blast. I think someone in our neighborhood put out orange tree lights, but that's it! What a fun neighborhood you live in! HAPPY HALLOWEEN! Here in Chicago, some of the coolest mansions do some amazing decorations. They are spread about in different neighborhoods though. Nothing like living in the burbs where neighbors have a healthy competition with one another. After seeing that spider, I feel a bit silly about the cardboard bats taped to our door. Have a spooky, fun-filled night! Alex, for some reason our neighborhood LOVES Halloween. Thanks Michael, yes this is a fun place on Halloween. Kids come here by the busloads. I like that first house -- those figures creep me out -- and the giant spider! Oh, those are great! We used to decorate. Right now it's pouring outside, so doubt anyone is out trick-or-treating. 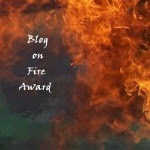 It's clear that to have an interesting blog one must have an interesting life! Seems you do! We miss trick or treating on our street! Thanks for posting so many wonderful photos--many happy memories there.